Thompson Square is a place of longstanding amenity in Windsor. It has long been used by the community of Windsor as a special place for trade, walks, picnics, music and general enjoyment. In the early days of the colony, Thompson Square served to be a central meeting point, uniting the town, the river and the roads. It quickly became an essential part of the social and commercial workings of the town. Today, the Square still serves as a focal point for the community. Recent times has seen Thompson Square being used for music festivals, charity fundraisers, and even a few movie nights hosted by CAWB. Its close proximity to Sydney has led it to become the rural retreat for day trippers, as well a spot for locals and picnickers to enjoy. Thompson Square's amenity is strongly reflected in the paved public paths and the central grassy reserve with its mature tree plantings, commemorative plaques and stones, and public seating. This original part of the township has not materially altered from Macquarie’s time and the original street layout is preserved even to this day. (Macquarie’s Towns, Professor I Jack, 2010). That the streetscape remains relatively unchanged can be readily recognised today when comparisons are made with images from earlier times. A prominent memorial is visible from George Street Windsor. The memorial includes an anchor, symbolising the river trade between the productive farmlands of the Hawkesbury and Sydney on which the colony relied during the early days of the settlement. The plaque records the names of many of the early European families who settled in the Hawkesbury district from 1794. The descendants of these families contributed to the erection of the plaque. A further commemorative stone is visible within the public reserve. The plaque commemorates the 175th anniversary of the naming of Windsor, Richmond, Castlereagh, Pitt Town and Wilberforce on 6th December 1810 by Governor Macquarie. 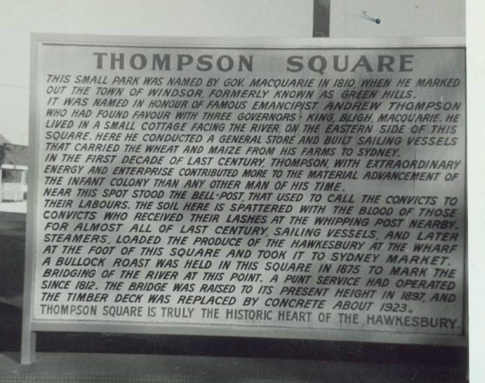 The plaque was unveiled by the President of the Hawkesbury Historical Society on 6th December 1985. Memorial visible from George Street, Windsor. 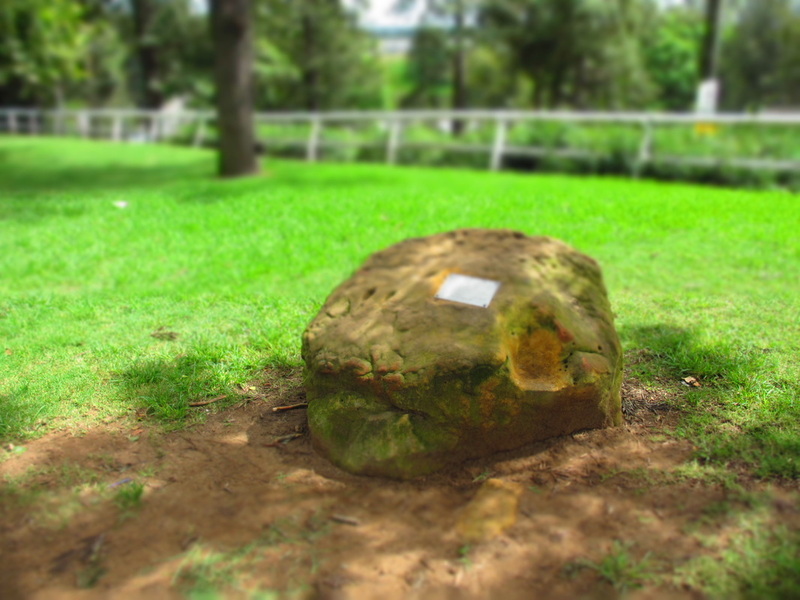 It is dedicated to the memory of all the pioneers of the Hawkesbury Valley. A commemorative plaque celebrating the 175th anniversary of the naming of the five Macquarie Towns.